User interface design for Foneclay, an interactive application that seamlessly integrates stimulating visuals within the functionalities of a smart phone. 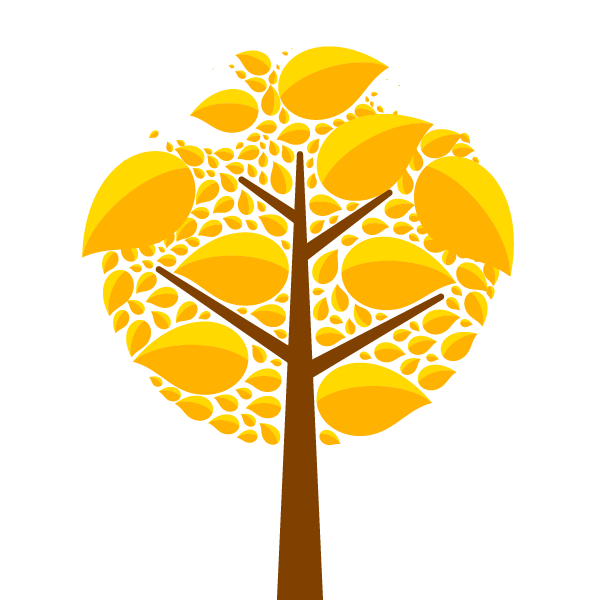 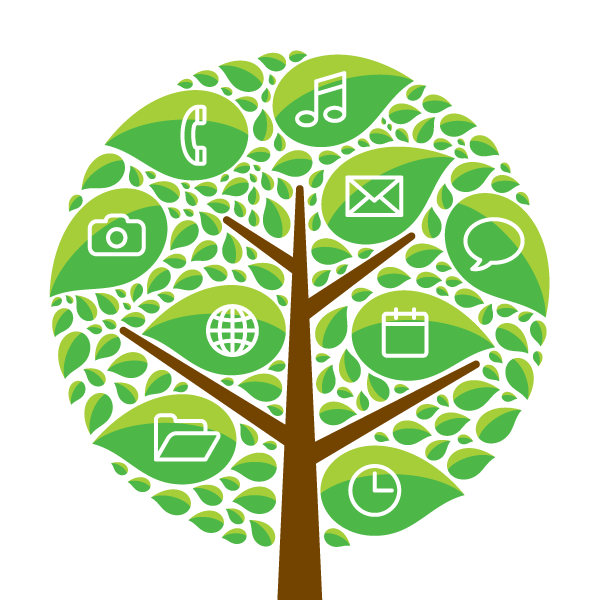 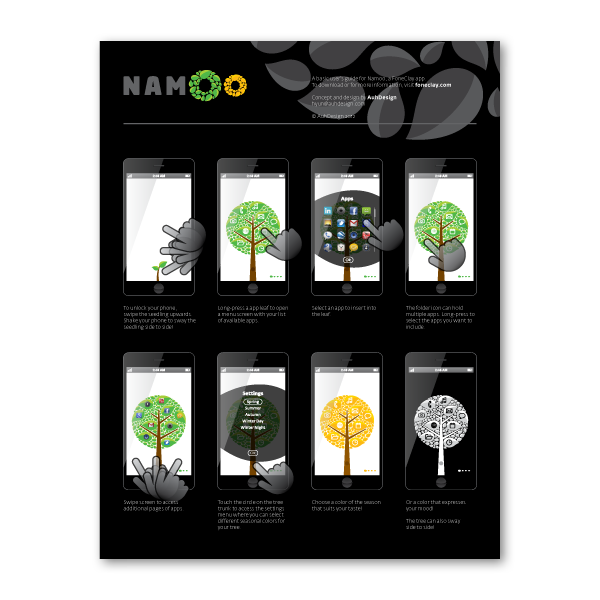 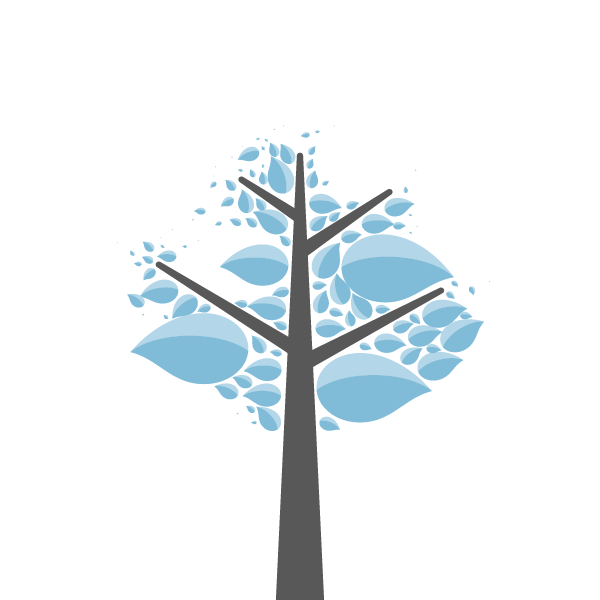 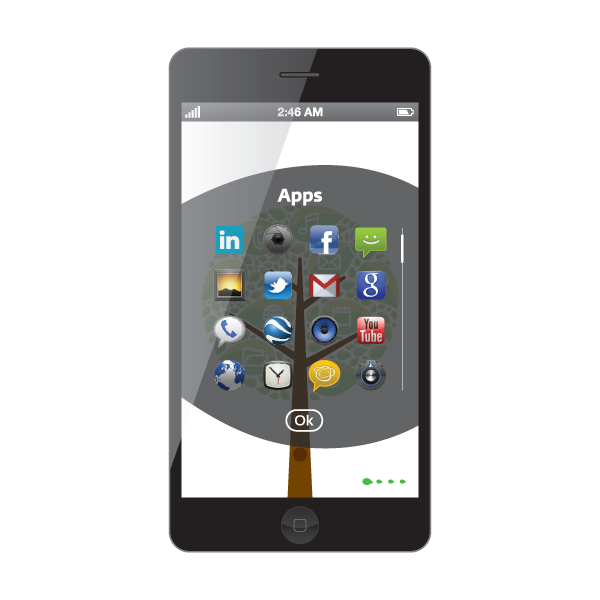 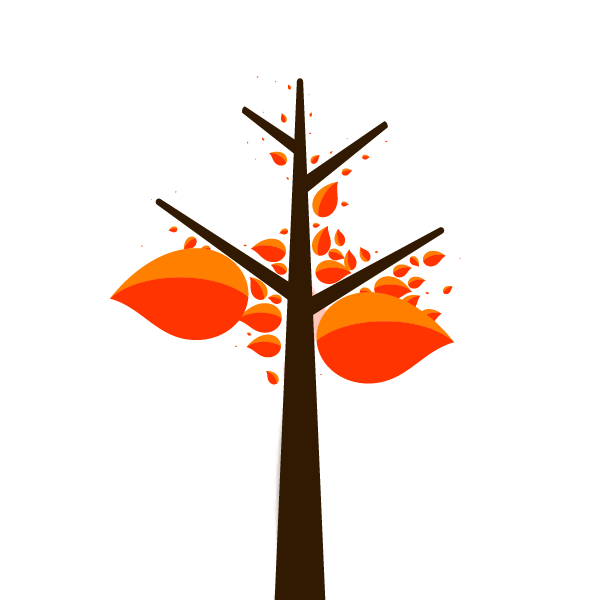 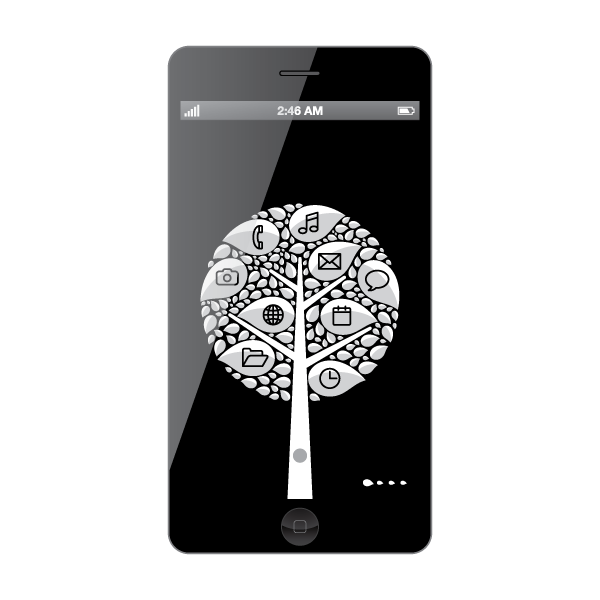 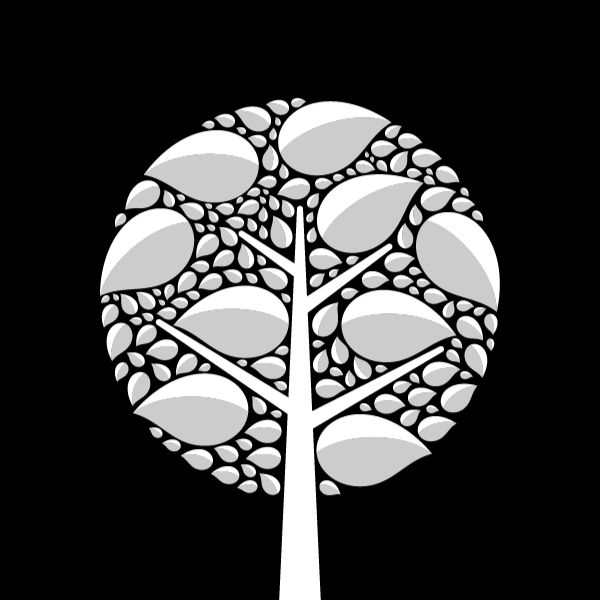 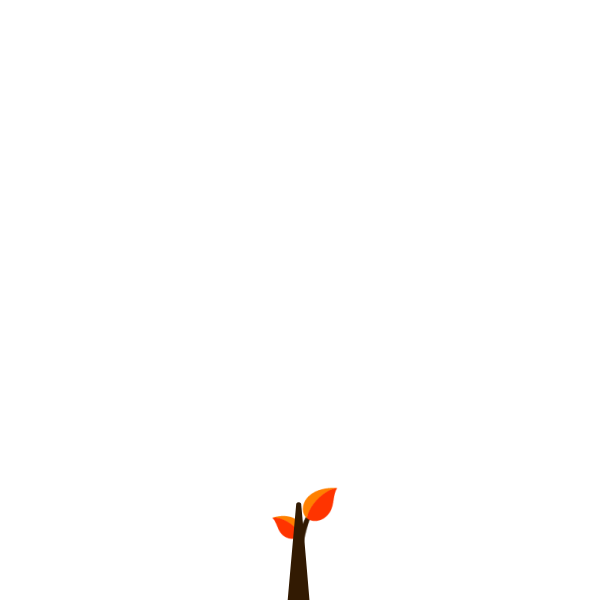 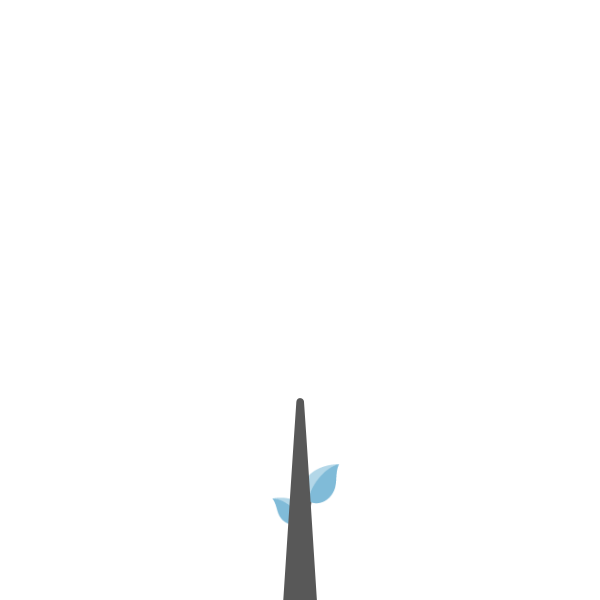 namOO is a tree themed interface with leaves acting as app icons. 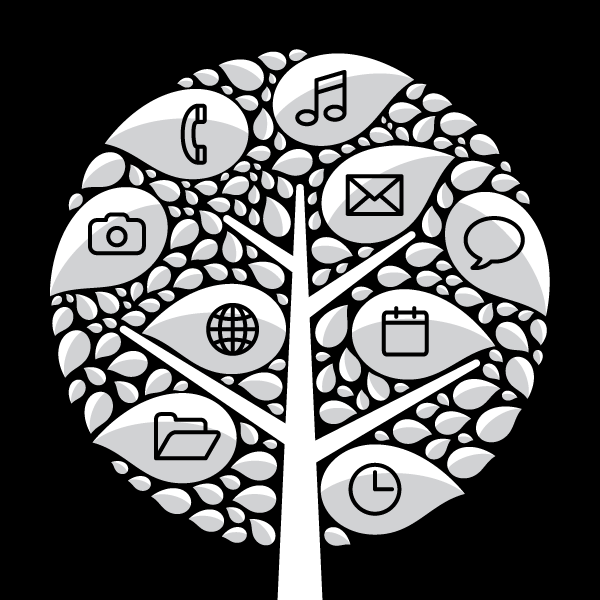 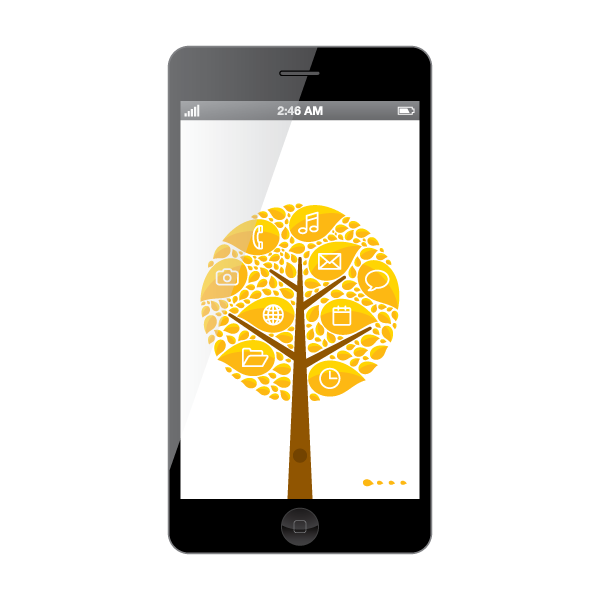 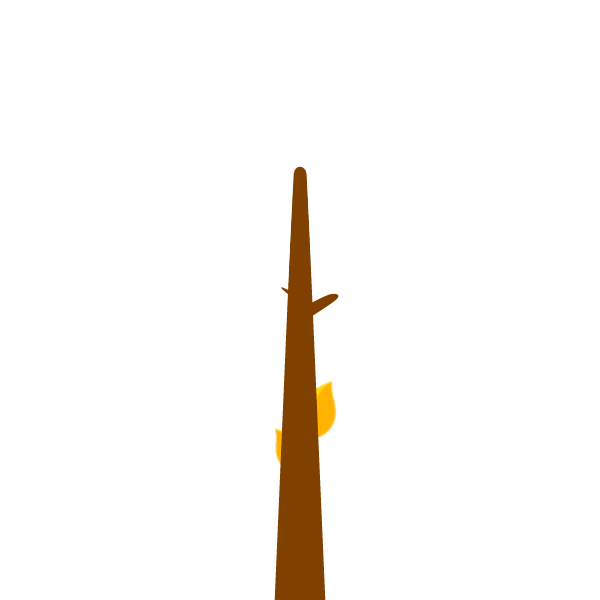 You unlock your phone by swiping a seedling and growing it into the app tree. 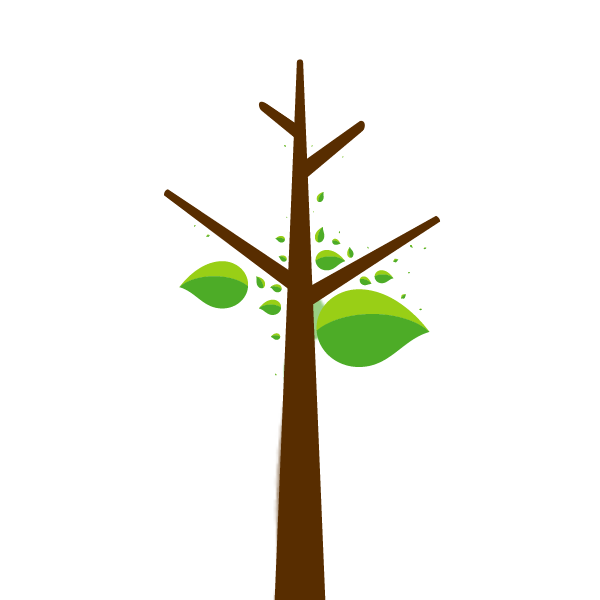 The color of the tree can be adjusted according to the seasons or personal preference. 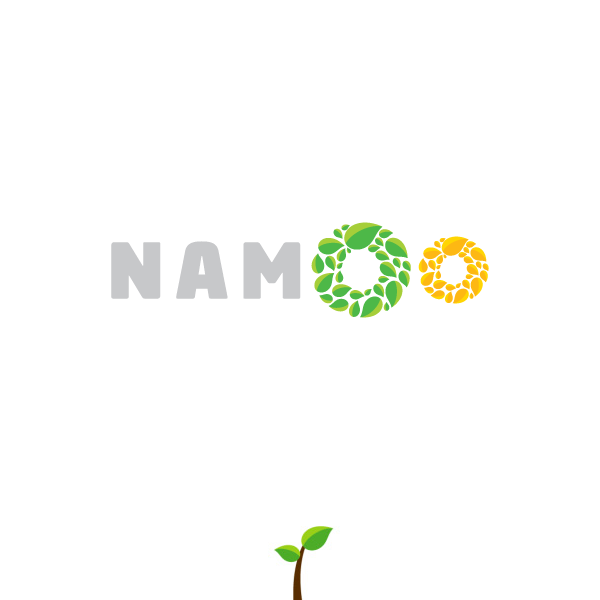 namOO is the first in a series of interfaces currently under development.